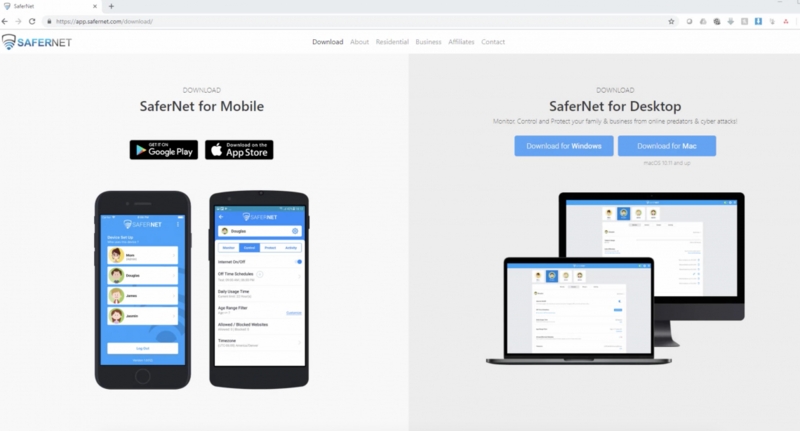 To download SaferNet to your Windows PC, first go to https://app.safernet.com/download/ in your preferred internet browser. 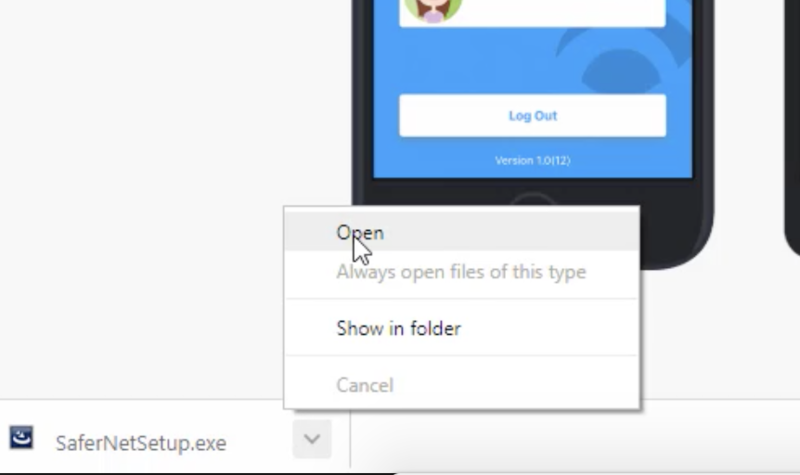 A “Save As” prompt will appear and ask you to choose where to download the SaferNetSetup application file. Next, open the SaferNet setup application file where you saved it to begin the installation process. 4. The windows InstallShield Wizard will execute. 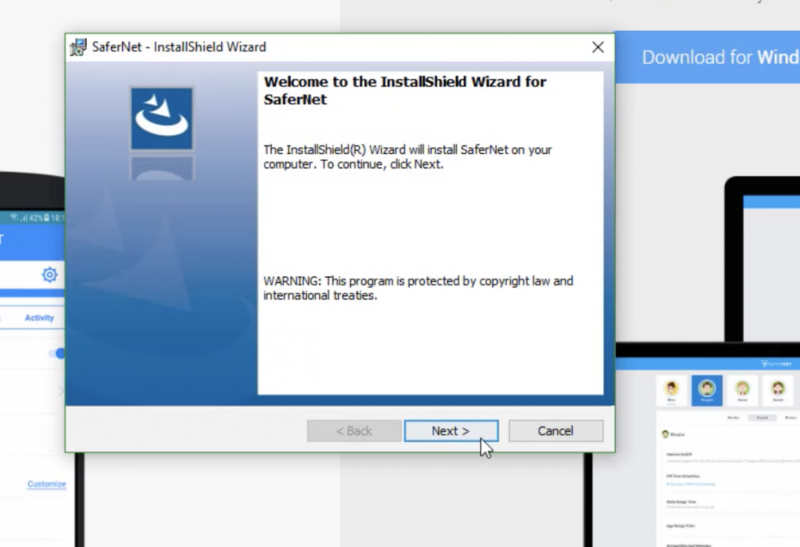 Please follow all of the instructions to install SaferNet. 5. 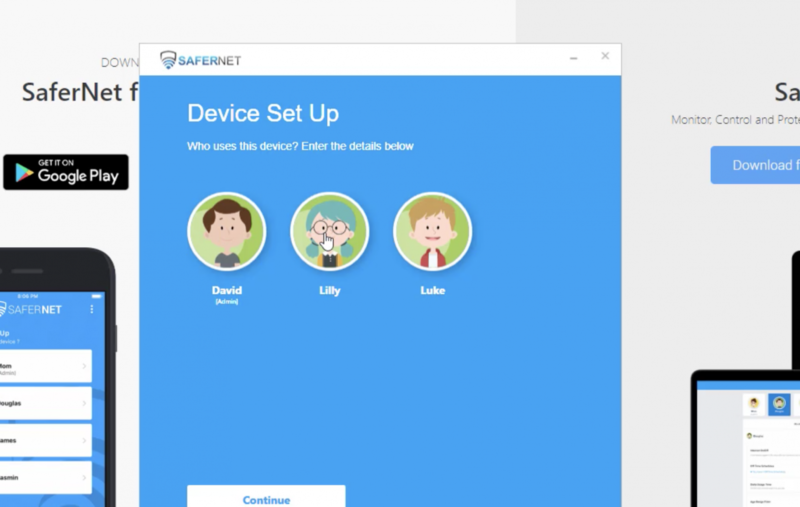 After installation, a SaferNet icon will be placed on your desktop. Double click it to open SaferNet. 7. 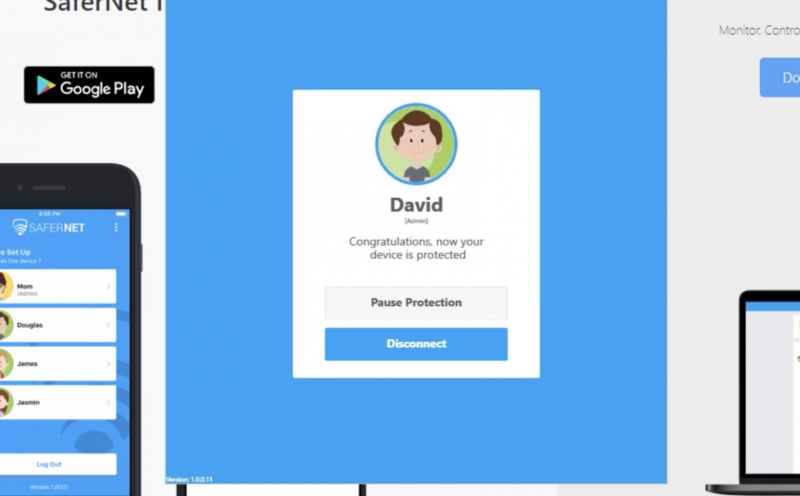 A Device Setup menu will appear with all available profiles. 8. Choose the profile that you wish to use on this device. 9. Success! 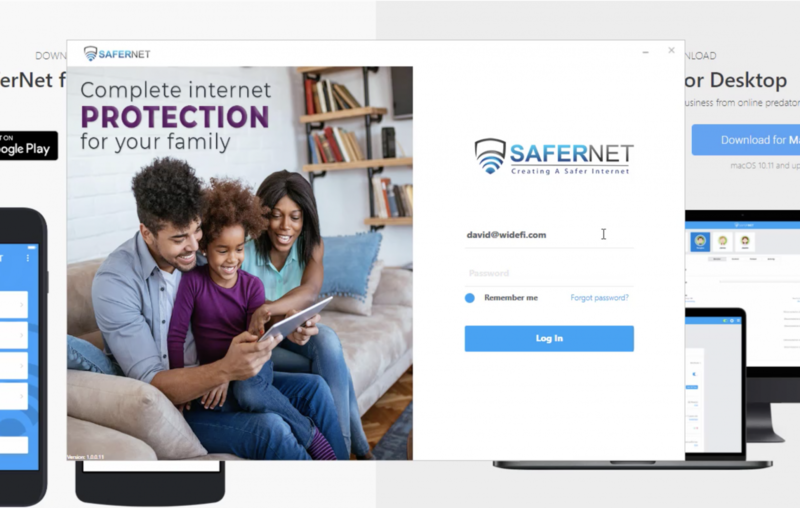 Congratulations, SaferNet is now monitoring, controlling and protecting your PC! Our Mission Is To Create the Simplest & Safest Products That Help Parents Protect Their Kids Online.